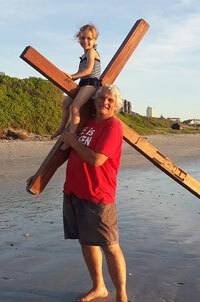 Met brother Steve one Sunday as i was about to leave to walk on the N1 Cape Town for a few hours sharing the Love of Jesus and reminding people that He is Risen. Thanks Steve for the video and be blessed in all you do. If you watching this video and need prayer leave a comment below and we will pray for you.